A quick video showing how to connect your ADAT module to the iPad using AudioFuse audio interface. Using the camera connection kit cable, S/PDIF cable. Tested audio through the Teenage Engineering OP-1. 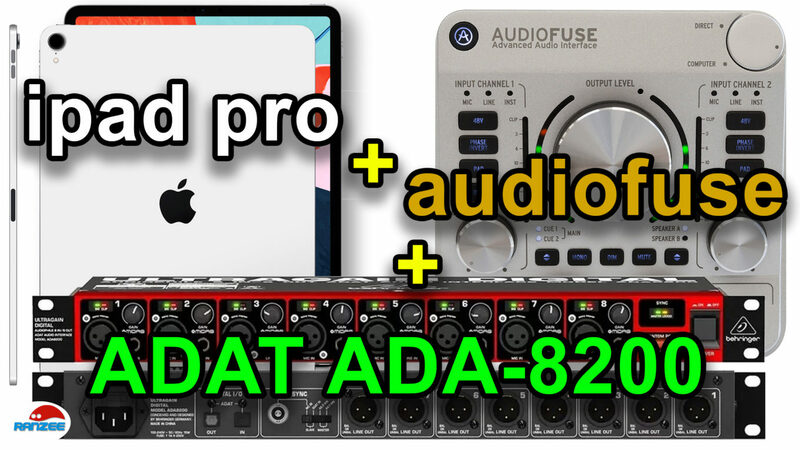 I’m using the Behringer ADA8200 ADAT module via the Arturia AudioFuse (connection via S/PDIF cable) and then connecting to the iPad Pro via the camera connection kit cable. Live stream every Saturday 2PM UTC ! !